Like it or not e-books are the future. Digitization has rejuvenated reading. Bringing countless titles back to the main stream to a slew of people that may have never stepped into a library or bookstore to read. 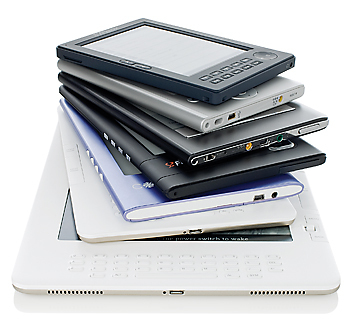 To read these digital e-book you need a reader, a piece of hardware. But just because you buy an e-reader from one store does not mean you are locked in to using that bookstore exclusively. If you are semi technical and love to read, you can take advantage of them all. Personally I have a Nook reader. This is what I use for my 'mainstream' reading. What I mean is that this is the device that I use for my favorite authors, my fiction consumption, travel, nighttime bed reading, and leisure reading. Barnes and Noble's bookstore works just fine and competition keeps the prices about the same as Amazon. The downside is that Amazon has a more popular publishing side for up and coming authors. independents, and mainstream authors that self-published. 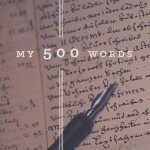 There is a website dedicated to free books in this Amazon store - http://hundredzeros.com/. But I cannot read them on my Nook. This is where my iPad and iPhone come in. If you have an iPad or iPhone you can install the Kindle and Nook apps and download and read books easily. If you only have an iPad then you can read from anywhere, but if you have an eReader from a specific store there are options. One misconception that I keep hearing is that people think that if they own a Nook or Kindle they can only read books bought from those stores. Not true. There are many sites that offer free eBooks in standard formats that all devices can read. This is where some slight technical skills are needed to copy those books to your devices. But you are not handcuffed to the store that made your device. Outside the marketing and documentation you are fed, these devices are far more open and flexible than you are led to believe. E-books are still a relatively new technology. The industry is hasn't figured out to that balance between Digital Rights Management to protect the content and bottom line and the convenience of the consumers to make them want to buy them. In my opinion their still is a long way to go, the current direction I see the publishers are getting greedy and prohibiting author's success. E-Books will live or die by the authors and readers, not by mainstream publishers. If I am wrong why are more and more big authors moving to self-publishing?